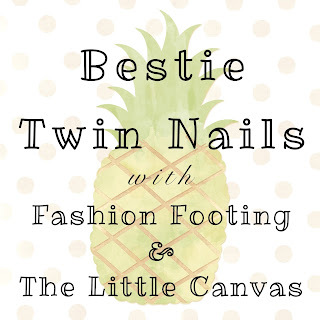 Fashion Footing: Round 26: Bestie Twin Nails with The Little Canvas! 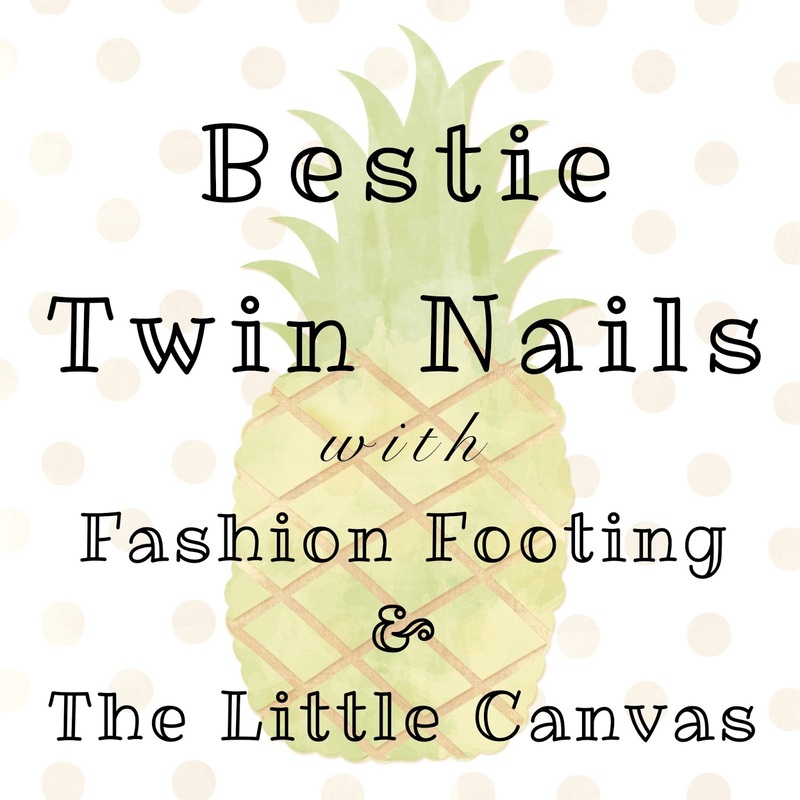 Round 26: Bestie Twin Nails with The Little Canvas! BTN Time with Alaina from The Little Canvas! This time we wanted something simple but still sort of bright and summery. 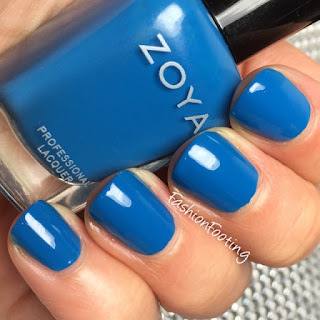 I used Zoya Ling as my base color (two coats), then used Purity and Willa on a fan brush and did little half lines on my nails. 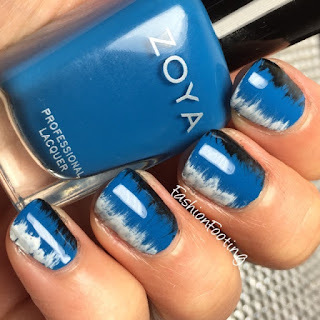 It's SO SIMPLE but I honestly loved these nails so much! Do you love these? I don't now why I love these so much but I really do!